Founded on October 2, 1890, Bloomfield has been touted from its early existence as "The Busy City." The location was chosen to accommodate the railroad which needed a fueling stop. 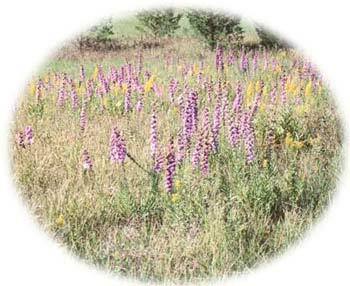 The name was suggested because of the many wild flowers blooming on the prairie. Throughout the late 1890's, Bloomfield was a typical railroad town with the main street populated by railroad families. In 1918, the first Knox County fair was held in Bloomfield, and has continued ever since. In 1956, the construction of Lewis & Clark Lake, located 18 miles north of Bloomfield served to positively impact the area's recreation and tourism. In 1973, a downtown improvement campaign was undertaken by individual businesses and was quite successful in the revitalization of downtown Bloomfield. The atmosphere of small-town America seems to have disappeared in the shadow of urban sprawl but it is still heavily present in Bloomfield. This community of 1,126 friendly, down-to-earth people, willing to lend a helping hand and a smile, is located in the northeast corner of Nebraska, 20 miles from South Dakota and 65 miles from Iowa. Bloomfield is a welcome respite from hectic urban life.